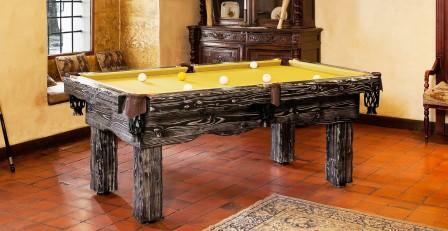 People’s increasing desire for natural, non-processed wood inspired us to create the ‘Rustic Collection’. 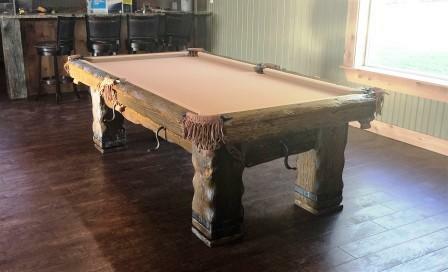 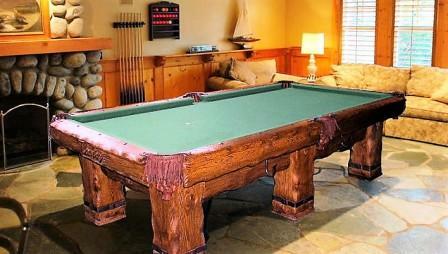 These rustic log pool tables easily exist as a centerpiece of a rustic ‘Wild West’ themed game room, be it at a North woods-style log cabin amidst the serenity of nature or within a magnificent mountain estate surrounded by breathtaking views. 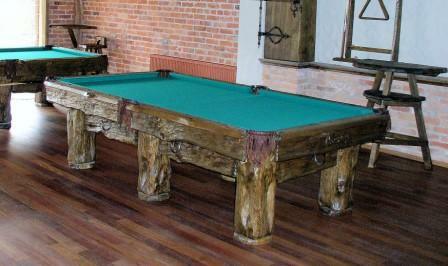 Each table is painstakingly constructed and sculpted from Siberian White Pine or White Oak. 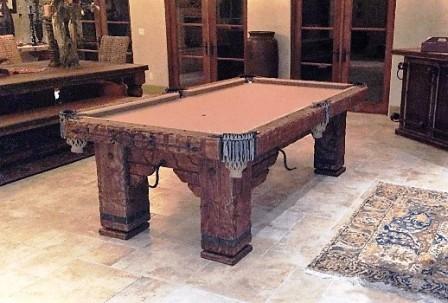 Our specially trained team of wood craftsmen, relying solely on their own hands and specially designed tools, handcraft each model one at the time. 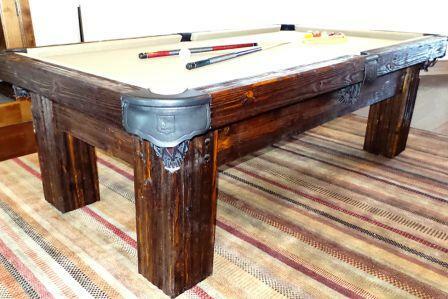 All the metal features of the table, including hooks, lampshades, pockets, and bolts, are hammered and sculpted by our own in-house blacksmith. 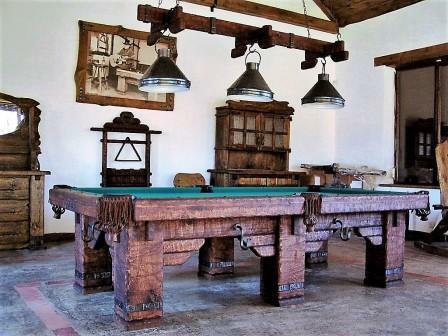 Pockets are decorated with handmade wraps of natural leather, and common cotton nets are replaced by sturdier leather ones. 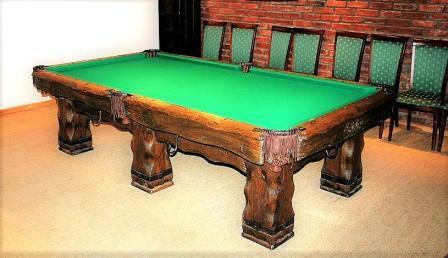 Each table also comes with 1" thick slate and professional playing cloth. 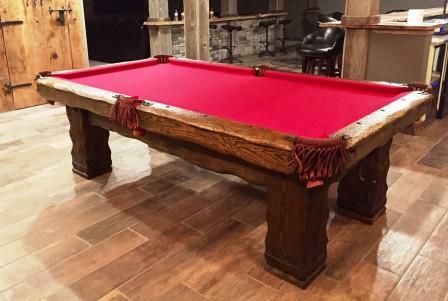 While it takes a lot of time and supreme craftsmanship to construct our rustic pool tables, the final product is really a work of art. 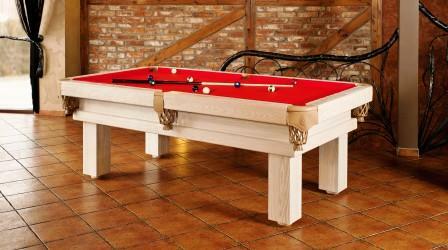 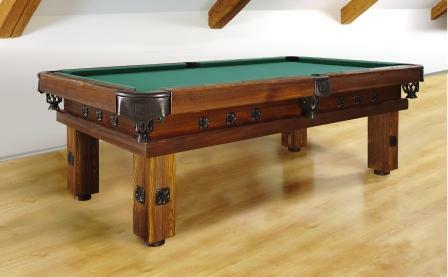 Wilderness is a magnificently hand-crafted solid pine pool table and our most artistic and wild of our entire collection. 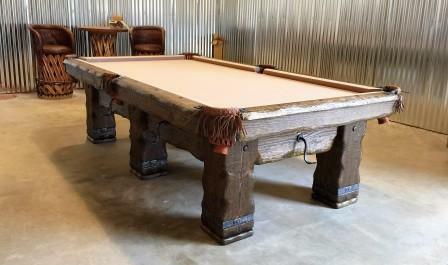 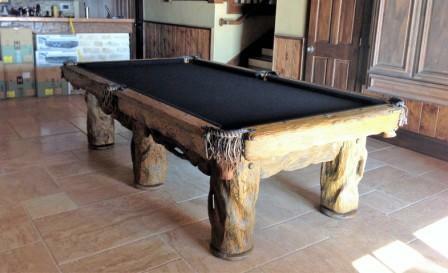 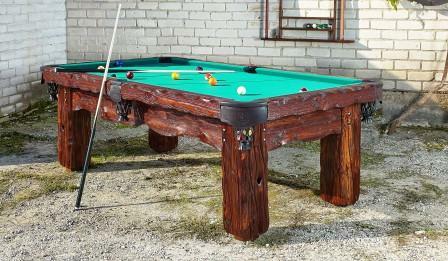 Wild West is a superb solid oak pool table hand-carved using granite boulders for the wood detailing and hammers for the metal. 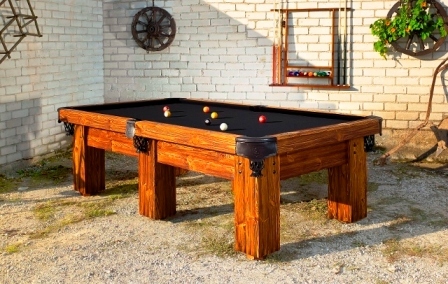 Artemis is our most affordable of the rustic line with minimal carving preserving the natural beauty of this solid pine wood table. 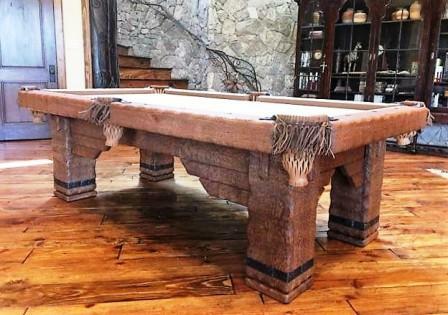 Beautiful craftsmanship and a hand-carved solid pine wood frame with hand scrubbed deep grain, natural leather pockets make this rustic log pool table simply stunning. 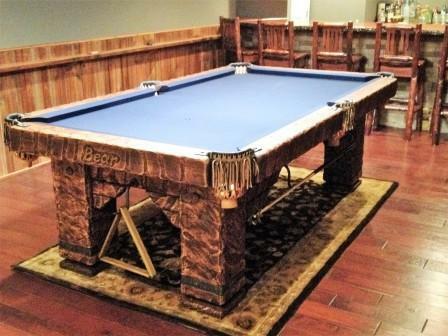 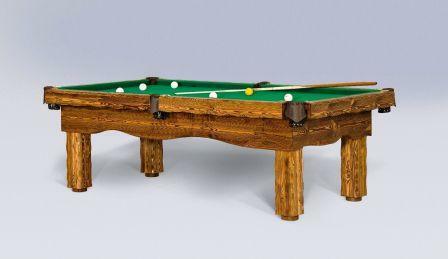 'Ranch' is a hand-carved solid pine rustic log pool table with deep grain, massive, linear legs, and frame, that fits perfectly in ranch or mountain home setting. 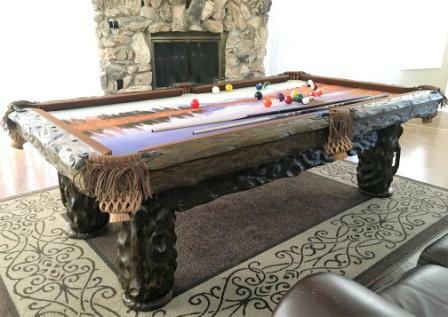 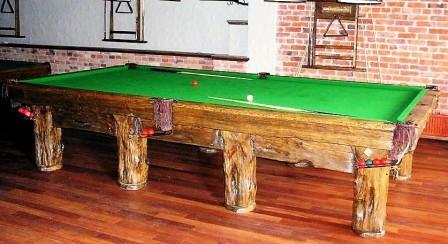 Bold 'Grizzly' is a rustic log pool table painstakingly hand-carved from solid pine with hand-hammered metal leg bands and pockets.